Jody Scheckter hung up his racing helmet in 1980 shortly after winning the Formula One world championship in his Ferrari 312 T4 in 1979. He then set his eyes on business establishing the very successful FATS Inc in America and is now content as a multiple award winning farmer at Laverstoke Park Farm, in Hampshire. After returning to the UK, Jody started collecting a number of the cars that he had driven in period to join the Ferrari that he owned since winning the championship in 1979. 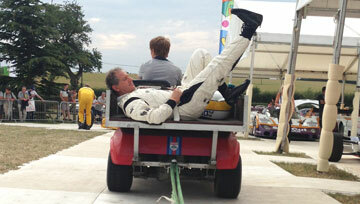 With the latest acquisition of a Tyrrell P34 aka 6-wheel Tyrrell he now has a very comprehensive collection of cars. As you can see Jody's takes a more relaxed view on racing these days with only a handful of cars getting to stretch their legs at the hugely popular Carfest South charity event held at his farm in Hampshire. We maintain the collection, and provide transport and comprehensive event support whenever required. 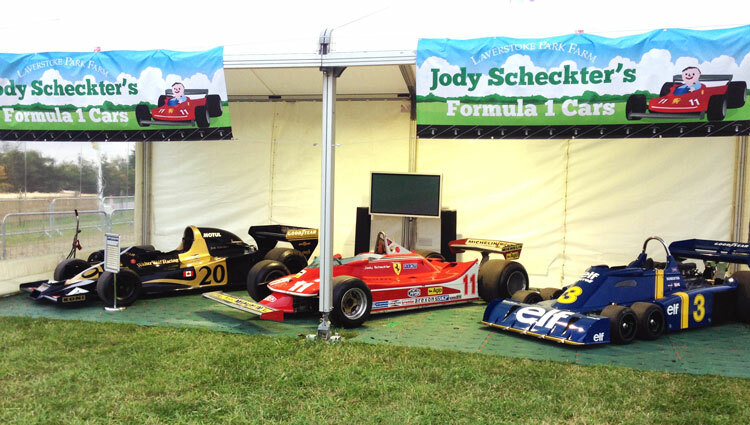 Jody has given us exclusive access to his collection for use at static displays and events. If this is something that is of interest please get in touch to discuss.